Since before Israel was founded, American Jews have lent our material, moral, and political support to the Jewish national home: a safe haven, and, quite centrally, a democratic polity that shared our values, as embodied in Israel’s Declaration of Independence. Jewish Americans watch, horrified, as our corrupt president takes aim at our democratic institutions while the impact of ten years of uninterrupted Netanyahu rule has done far worse for Israel. Freedom House, an independent U.S.-based watchdog which tracks democratic trends worldwide, provides insights into the changes in Israeli democracy. After more than a decade of consistent freedom rankings from Freedom House (Israel scored a solid 1.5 on a scale of 1 to 7, with 1 meaning "free" and 7 "not free"), Israel’s rankings worsened in the past two years, moving to a 2.0 and then a 2.5. How free is Israel? Comparatively speaking, it’s less free than Bulgaria and South Africa, but the "only democracy in the Middle East" still earns better marks than its closest competitor, Tunisia, which just squeaks into the "free" category. Israeli democracy is strongest, Freedom House indicates, in upholding political rights. Among those, it gets top marks for its free and fair elections. When it comes to civil liberties, however, Israel’s democracy has long underperformed. Palestinian citizens of Israel suffer de facto discrimination in social services, while some Bedouin Israelis have been stripped of their citizenship and forcibly relocated within Israel. Ethiopian Israelis face discrimination, particularly in the criminal justice system. The Orthodox rabbinate controls personal status matters among Jews, and Israel recognizes marriages between a Jew and a non-Jew only if they are performed abroad. Per Anshel Pfeffer’s apt description, Israel is a "high-functioning illiberal democracy." This democracy has suffered significant setbacks in the past two years. Particularly egregious are the 2017 Entry Law, which bars supporters of boycotts (including of the settlements) from entering Israel, and the 2018 Nation-State Law, which both symbolically and materially downgrades the status of Israel’s Arab minority. Politicians have mainstreamed the use of racist attack ads against Palestinians. With Netanyahu in the vanguard, populist leaders portray dissenting voices on the left as either "traitors or aliens," attempting to starve them of foreign financial support - while the right-wing continues to suckle from the teat of Sheldon Adelson. There will be more to come in Netanyahu’s fifth term. Even on political rights, where Israel’s democracy has been strongest historically, we will see deterioration. Election day featured a double-pronged assault on election integrity by Likud, whose activists installed cameras in Arab polling places to depress turnout, and stole or spoiled Blue and White ballots. Even without Ayelet Shaked as Justice Minister, attacks on the judiciary and gatekeeping institutions will continue and likely intensify. And Netanyahu will push his coalition to pass a law granting him immunity from prosecution as long as he remains prime minister, further eroding safeguards against corruption - in exchange for fulfilling his pre-election pledge to annex West Bank settlements. Ultimately, it is this prospect that poses the single greatest threat to Israeli democracy, pushing Israel over the brink into apartheid. Already, it is difficult to justify speaking of Israeli democracy within the Green Line as separate from occupation in the West Bank, where settlements proliferate and with dozens of annexationist bills introduced (eight have passed already) that codify the leap from de facto to de jure annexation. Slamming the door on Palestinian statehood and rendering permanent Israel’s occupation of the West Bank - with civilian law for Israeli settlers and military rule for Palestinians - will terminate Israeli democracy. As the American and Israeli governments repeat often, shared values (and not only common interests) underlie the U.S.-Israel relationship. Arguably more than other Americans, Jewish Americans want to see our values reflected in Israel. 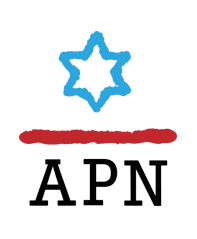 The reaction among American Jews to Israel’s elections will not be monolithic. A minority, right-wing hawks and many Orthodox Jews, will celebrate. Among the progressive majority, some will join the growing BDS movement, for which Trump and Netanyahu are the best recruiters. 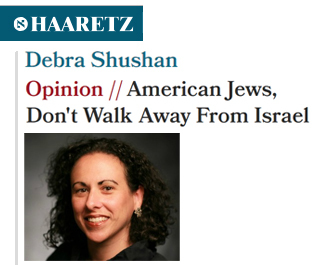 Others will simply walk away from Israel. There is another way. It hinges on Israel’s progressive civil society - which, though diminished through years of delegitimization - is still alive, creative, and vibrant. If Israeli democracy is to be rescued, they are the ones, our fellow blue staters, battling mightily against the red state that Israel has for now become, who will save it. Make no mistake: this is a black day in which the relationship between Israel and American Jews is strained as never before. We must pick ourselves up, strengthen ties with those Israelis who are our natural allies, and push forward, together.